Our world is experiencing a crisis of faith. Few people place much faith in the future. Many have no faith their marriages will survive, that political leaders will honourably serve their country or that education will prepare them adequately for the challenges ahead. Faced with the difficulties of everyday life, many people simply have no confidence that there will be a better tomorrow. Faith is all too rare today, but we can develop it if we understand the keys to faith. 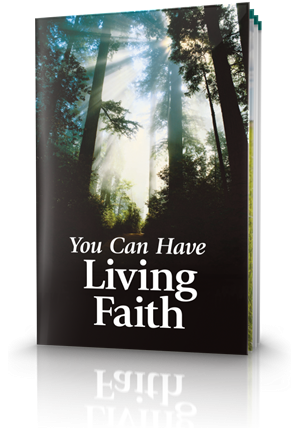 This booklet will help you learn more about how you can have living faith. Jesus asked a question with profound implications for each of us: "When the Son of Man comes, will He really find faith on the earth?" Faith is growing increasingly rare in our secularised society. 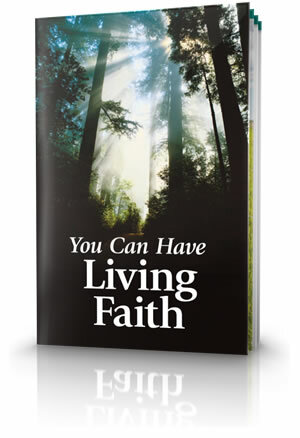 How can you have living faith? Since most people don't read the Bible, they know little about God. Many aren't even sure whether God is real. What about you? What kind of faith do you have? Do you want to have more? Do you understand what faith really is? The Meaning of the Word "Faith"
Many people think of "faith" as either a feeling or a collection of ideas that represent one's convictions. Although both of these concepts involve elements of faith, the full definition is much broader. Martin Luther, founder of the Protestant Reformation, referred to the book of James as an "epistle of straw." 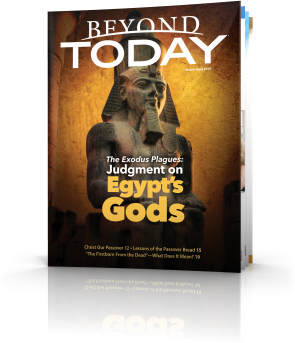 An excellent way to understand the meaning of faith is to consider the examples of the Bible - men and women who trusted and obeyed God, placing their lives in His hands. Who were they, and what can we learn from them? Few attitudes are more disheartening and destructive to faith than the notion that God doesn't hear our prayers, doesn't answer or doesn't care. It is easy to come to such conclusions when God doesn't respond when or how we want. Have you ever wondered why we don't see more evidence of faith? God expects us to grow in faith, and he tells us it is impossible to please Him without it. So how can we grow in faith? Scripture gives us several keys to building and growing in faith. What are they, and how do we utilize them? Faith Puts the Law on "Firmer Footing"
A comment by the apostle Paul that many lift out of context and misinterpret is Romans 3:28— "Therefore we conclude that a man is justified by faith apart from the deeds of the law." Faith is vital to the entire Christian life - from first understanding who God is up through salvation and eternal life. Our Faith in Christ or His Faith Within Us? Many newer translations of the Bible render certain verses written by the apostle Paul to say that we are to live by our faith IN Christ - whereas the earlier King James Version translated these to say that we must have the faith OF Christ. Just how should these verses actually be translated - and why is this important? 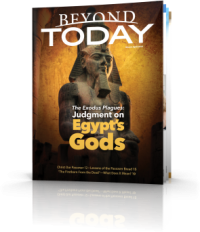 In the book of Hebrews, disobedience is equated with disbelief (Hebrews 3:18-19 And to whom swear he that they should not enter into his rest, but to them that believed not? So we see that they could not enter in because of unbelief.). How are these two are so closely related? The books i have received from this ministry have been of great support for me in my walk with God and in knowing Him and His character. May the good Lord continue to bless your ministry greatly as you help people to know Him better.